How can your brand tap into that enormous amount of spending power? It’s critical to understand how to reach these younger consumers with your marketing messages. A recent study by Price Waterhouse Coopers indicates that consumers between the ages of 17 and 35 plan to spend more this holiday season than last. But it’s not just their purchase intent that makes this group of buyers so powerful. It’s also their spending power. Millennials wield an estimated $65 billion in spending power, while Generation Z is estimated at $100 billion. Of the 80 million Millennials in the U.S. today, 40% of them are now parents. 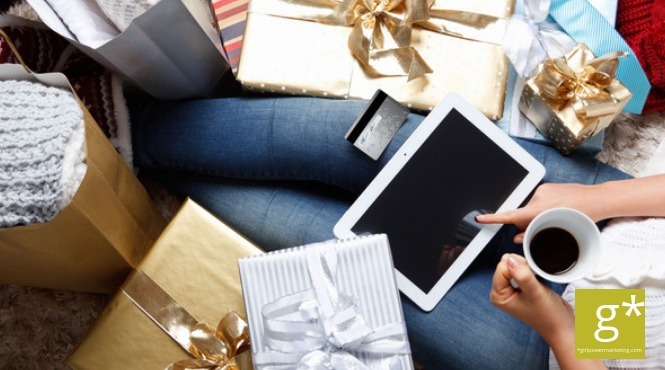 Reaching these consumers during the holidays is much the same as any other time: make it efficient, make it digitally savvy, and make it personal. Millennials as a whole value quality, convenience, and speed. But more importantly, they have distinct values, and they look to support brands that reflect those values. They want brands they support to practice sustainable and ethical business practices and to market to them in a socially responsible way. Gen Z is unlike to any other generation, in that this group has never known the world without unlimited digital access. These consumers view the world from their phones – having navigated nearly their entire lives from their digital screens. When marketing to Gen Z, be clear about your company’s values and act accordingly because, like Millennials, they also link their values to their purchasing. They like to know a brand’s core values and determine if they align with their own. These are savvy internet users, who take in information and make quick decisions, with a deep understanding that time is one of their most significant assets. They can size up the value of a piece of content in seconds and determine if it’s worth their time. Content delivered in bite-sized portions helps them avoid overload and not lose interest. With paid advertising, pay particular attention to YouTube, Snapchat and Instagram. Gen Z is also influencing up to 93% of all the purchases within their parents’ homes as well. As a young group their minds are still formulating, so their focus and behaviors will likely continue to change rapidly as they get older. Staying up-to-date on research and data will help you stay in touch with this group and keep their marketing messages relevant. Brands need to be where these buyers are, and that means online. This year, more than 76% of shoppers will use three or more channels to complete their purchases, including apps, retail, online marketplaces, in social media, on brand e-commerce websites, and even by voice shopping. Mobile shopping is poised to experience the most significant growth this year, with 24% planning to use mobile payment options in stores that offer it. Online shopping never closes, which allows these young consumers to shop when and where they want. Options for turning a browsing session into a sale include “buy” buttons in social media posts; shoppable photos on Instagram, Facebook, and Pinterest; sales links within Instagram, Facebook, and Snapchat Stories and multiple mobile payment options. And though mobile shopping is exploding, don’t ignore the in-store shopping experience. These consumers see in-store shopping as a novelty – a social activity to be enjoyed. Marketers should focus on creating an integrated experience, making the retail experience one that these younger generations enjoy and will share across their social networks. Reaching the younger generations during the holidays still requires a major commitment to word-of-mouth, and influencers who provide authentic reviews are the best way to build trust while sharing products. Influencer marketing returns $6.50 for every $1 spent, so your ROI is worth the effort. Because 61% of shoppers are open to finding and buying new brands during the holiday season, influencer marketing could be your biggest sales driver. Even small businesses can benefit and see big returns, as more affordable micro-influencers see the largest percentage of engagement. By adding links to product pages and buy buttons, you can remove any friction between the discovery of new brands and the actual purchase. For a successful holiday retail season, be sure to make marketing campaigns inspiring and authentic, with a willingness to explore new communications formats that will resonate with these younger consumers.